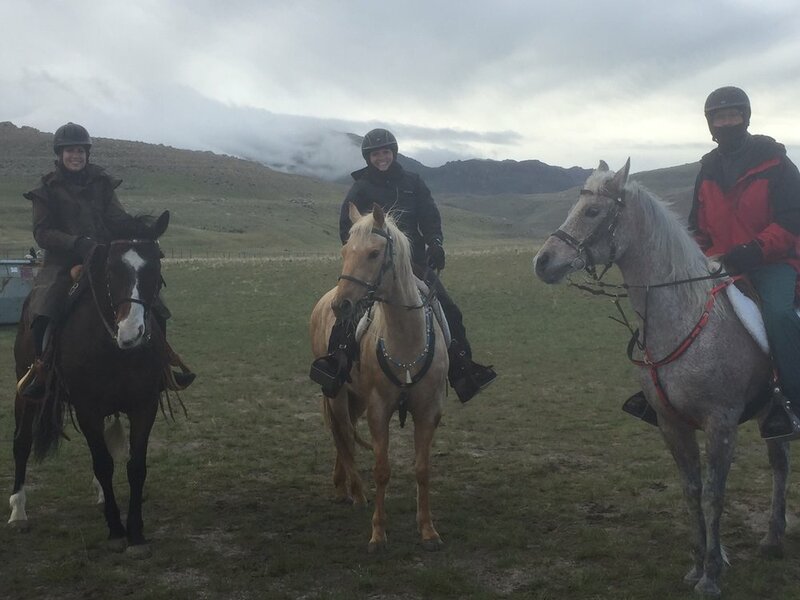 Sterling and two of our friends competed at their first ride of the season at Antelope Island. We woke up at 4:00, and by the time we left the house, it was pouring rain. As I kept encouraging Sterling, all I could think of was how warm I would be in the truck, reading and napping, while everyone else froze in the 40-degree windy and rainy weather. Crazy people! 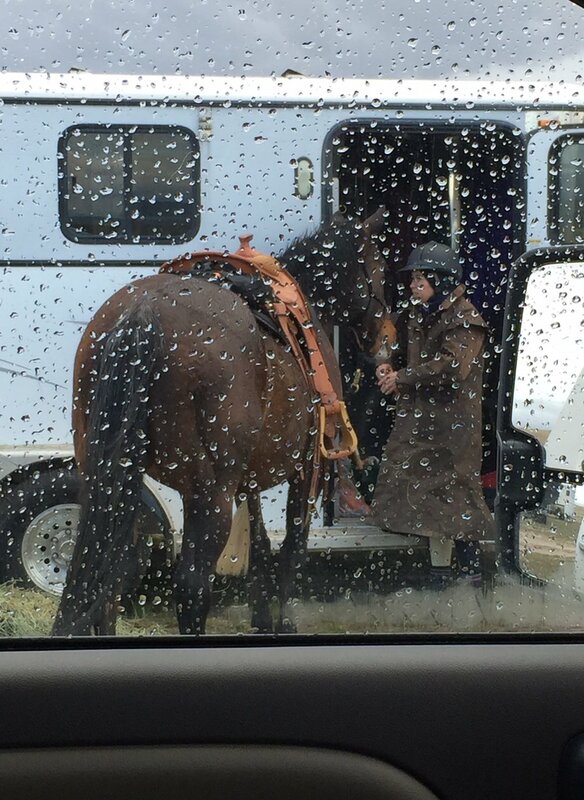 You’ll notice them tacking up and gearing up in the rain…yes, while I took photos from the inside of the truck. Returning from a 25-mile ride in the top ten—safe and happy! 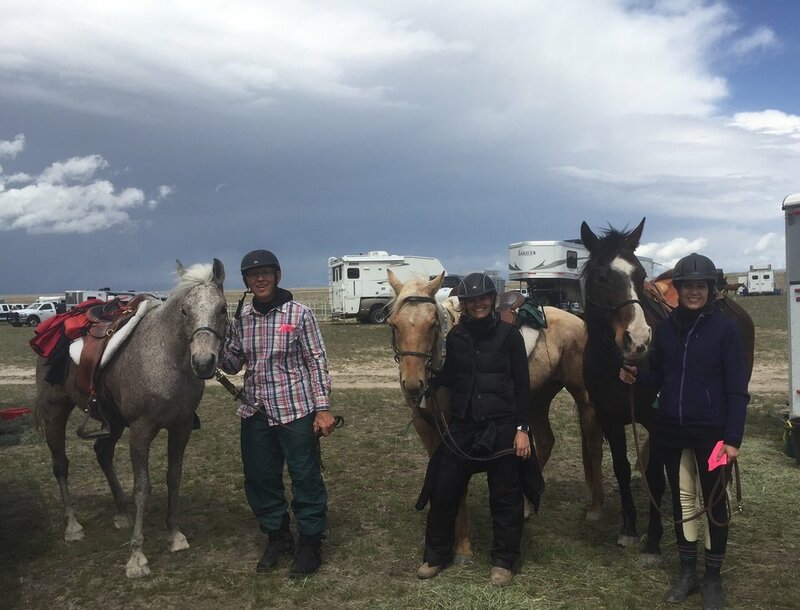 As it happened, it rained until the three riders took off on their horses, then it stopped, and didn’t start raining again until we were leaving ride camp. How lucky is that!? 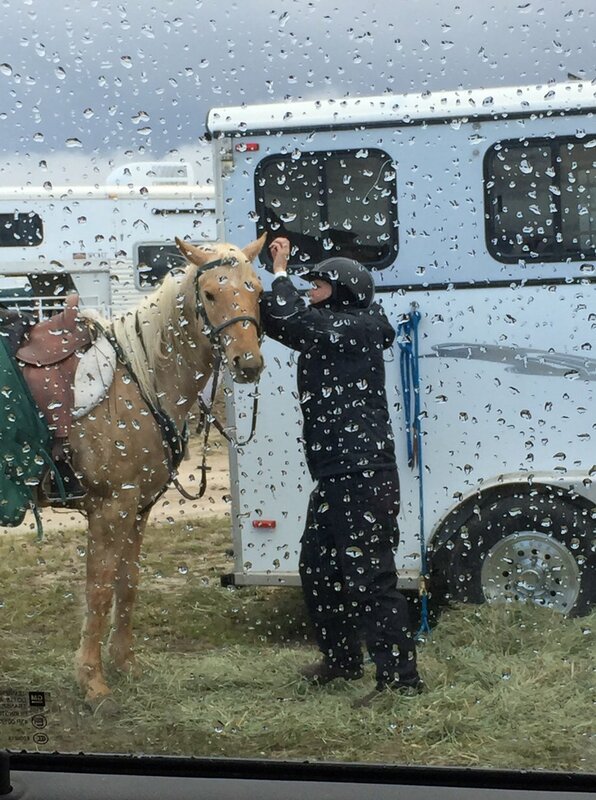 After watching the weather all week, knowing the chance of rain was high and wondering if he should ride, Sterling said he’s happy he went, and it was a good ride. I’m happy I went too—two naps and some good reading, as well as time with Sterling…a great way to spend the day!